LJers, I only just realised that days 1, 2, and 3 didn't get cross-posted. It's there now if you want to see a selfie, a cat on a mat, and a footballer. Now for the next three days. 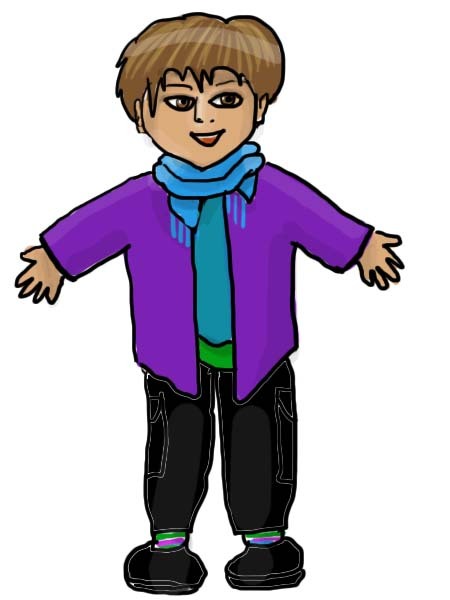 The challenge was to draw something in 87 seconds. A strange number; why not 90? 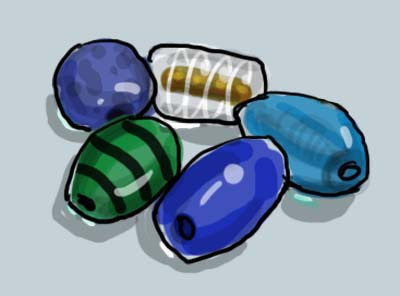 So I draw some big glass beads I haven't yet done anything with, well under the 87 seconds, but I took more time to add the colours. Maybe 5 minutes in all. 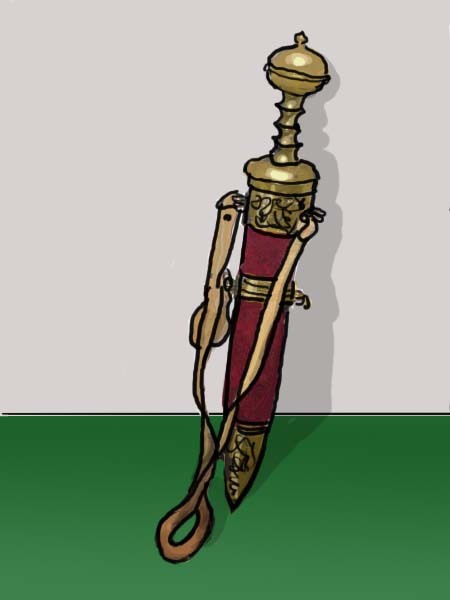 The topic was "weapon", and as I actually have one, I drew my replica Roman sword in its scabbard. It's a copy of one found in a centurion's tomb, and I wear it when being a re-enactor with Legio II Augusta. Yep, it's the old gradient in the background again. The carpet's actually a crappy dark brown; green looks so much better. socks striped in green, turquoise, magenta, and white. They're only visible when I'm sitting but I had to draw them too.